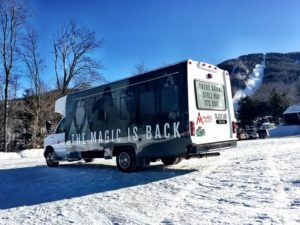 Typestries just “wrapped” up this fantastic ski area vinyl shuttle bus wrap project for Magic Mountain in beautiful Londonderry Vermont. 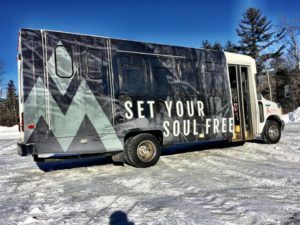 We took an older, surplus purchased bus, removed all of the previous vinyl graphics and lettering, cleaned and prepped the vehicle for the new vinyl wrap. 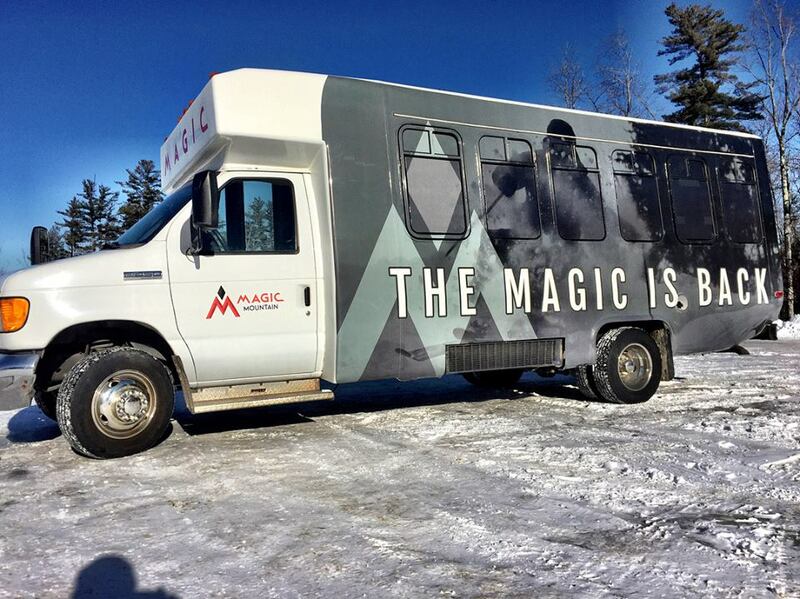 Once we built a vehicle wrap template for the bus, our designers tweaked the supplied design to fit the template, got the client approval and printed 3M Controltac 180cV3 wrap media with 3M 8518 gloss over laminate for long term durability in the harsh New England environment. 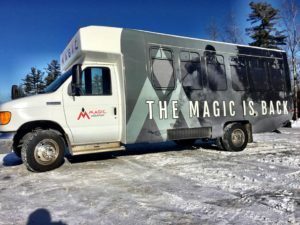 We added in optically clear laminated see-through window graphics on all of the windows, and added 3M edge seal tape to enhance the window graphic durability. 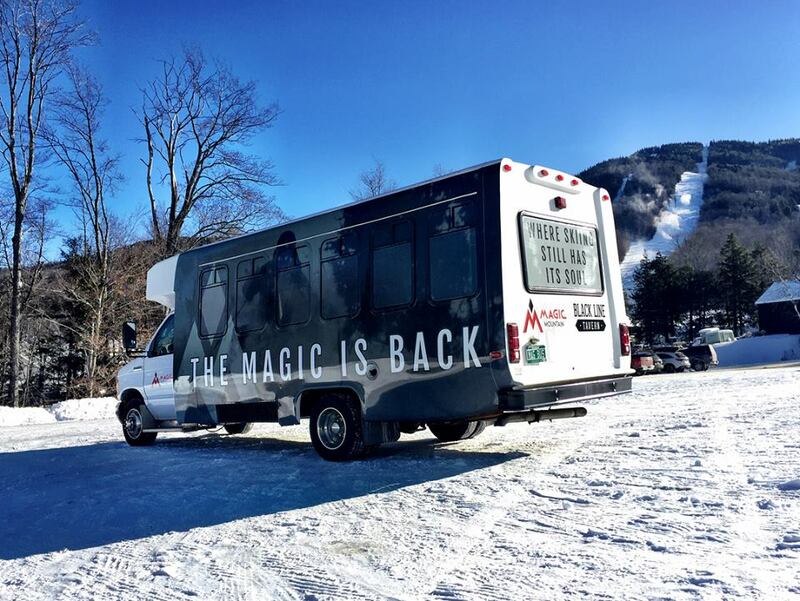 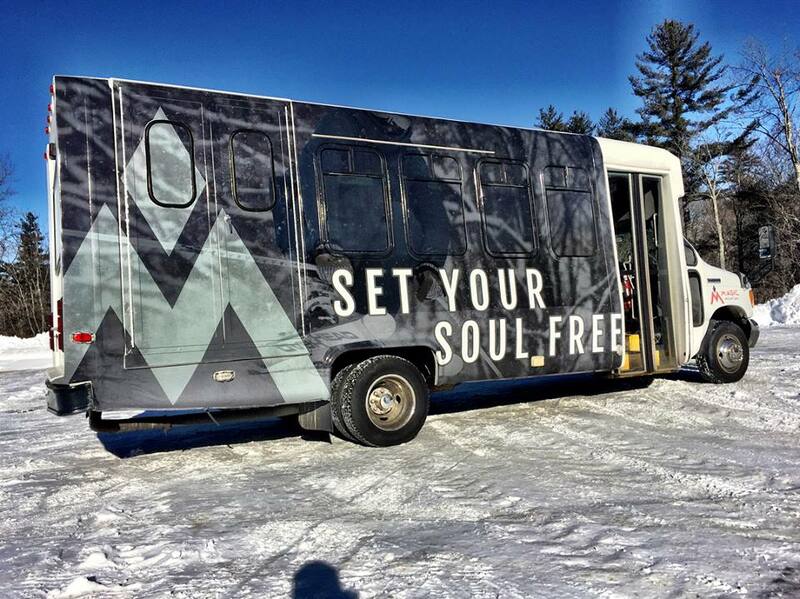 Look for this stunning bus advertising wrap around ski resorts throughout Vermont and New Hampshire.